Canyon Lake Vacation Rental #13579 LakeHouseVacations.com Rent Me! Winter Texans Special! Ground level 22 condo a short walk to Canyon Lake! 32 in historic riverfront condo in Gruene!! Pool! Short walk to Gruene Hall! New Listing!! Joint listing of waterfront home and neighboring cottage! Enjoy the beautiful views of the Guadalupe River from this AMAZING ground floor 3/2 condo located at Village at Gruene condominiums with direct river access! Just a short walk to the historic Gruene Hall! This 3 bedroom/2 bathroom unit sleeps 8 guests. It has a King in the Master bedroom, Queen in the second bedroom, 2 twin beds in the 3rd bedroom, and a Queen size sofa sleeper in the living room. All 4 beds in this condo are brand new, 5 star hotel quality mattresses! The master has a private bathroom and the guest bathroom is in the hallway conveniently located right across from the 2nd and 3rd bedroom. High quality linens are provided for all beds and bathrooms. This condo has new ultra HD TV's, high end mattresses with quality linens, wireless high speed internet access, a Bose sound dock, and an Apple TV with Netflix. You'll feel right at home in the cozy living room and gorgeous kitchen stocked with all your appliances and utensils! There is a tube rental company called Rockin' R only .4 miles away. Don't miss out on all the wonderful things Gruene has to offer within walking distance from the condo! Take in the live music, dancing, great food, shopping and antique shops during your stay and enjoy the spectacular river views from your private balcony! If you have any questions about this condo, please give us a call at. We are happy to help! Guests must be 25 years of age or older to make a reservation and must be staying at the property. This condo comes with 2 parking spots. No pets allowed. Nice property, on river, near great music / shops / restaurants. Would stay there again. " Our group of friends had a wonderful time in Gruene and this condo was perfect. Beautifully decorated and comfortable. A close walk to everything including the river. " Everything is walking distance from this condo. Condo was very clean and just the right size. Beds were comfortable, A/C worked great, and everything worked fine. Pool is a little small, but it wasn't a crowded weekend, so it was fine. " Very clean and spacious. Great location. 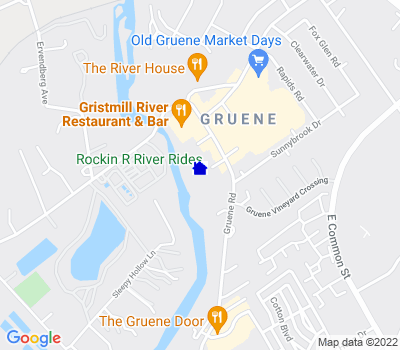 Walking distance to all of Gruene! We loved it!" "Wonderful Condo in a Great Location! The condo was clean, had all the amenities and a very gorgeous view from the balcony. We were in walking distance of Gruene Hall, restaurants and the lovely local shops. Would definitely visit again!" My family and I stayed here for three nights. There were six in our group, and it was a comfortable fit. The condo is very cute, and it had all the kitchen gear we needed for our stay. The appliances all work great, including the A/C. The only minor drawback was that the mattresses were not very comfortable. We were so worn out from our days spent at Schlitterbahn and in the river, though, we slept soundly despite the beds being a little underwhelming. Overall, this condo is great and we would stay here again." In addition to filthy floors that turn your feet black, our unit had huge cockroaches that preferred to greet you while taking a shower. Our keyless entry wouldn't work, so we had to wait for maintenance to come fix it and missed our dinner reservation one night. To top it off, there is writing on one of the bedroom walls in glow in the dark ink that states "IM WATCHN YOU." Other than that, the unit is very well decorated and has a good view of the river. " This was a perfect unit for a weekend with family. Clean with convenient check in and out. We had a couple of kids with us and used the pool daily. The location can't be beat for walking to the Hall and restaurants!" So cute and perfect location! Very clean and comfy!" We loved our stay at the Parker River Haus! It is right in the heart of Gruene TX, with everything in walking distance. The condo was roomy, clean and decorated very nice. Since we were there at Christmas we did a lot of cooking in the condo. It would be nice to have a few more cooking utensils and items in the kitchen. Also, it would be nice if the shrubs were trimmed back so you could have an even more spectacular view of the river from the balcony. We would definitely stay at this condo again!" This rental was very nice and accommodated our group well. "